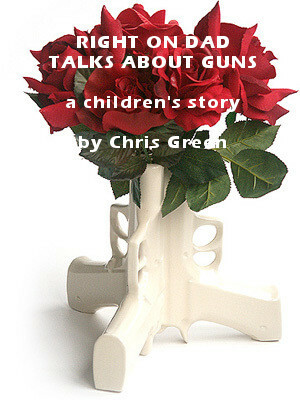 ‘Why do people have guns, Dad? I think guns are horrible,’ says Amelia. Amelia is five and a half. She has just started her second year at school. 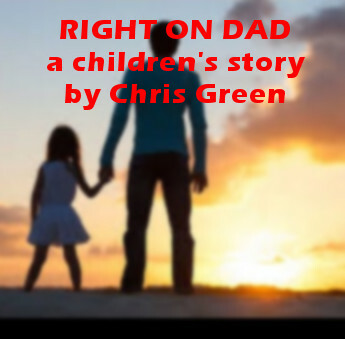 ‘Mr Gun was a bad man, wasn’t he, Dad?’ says Amelia. ‘What’s politics, Daddy?’ said Amelia. Amelia is four and a half and has just started school. ‘Party? You mean like a birthday party. I like birthday parties. You get cakes and fizzy drinks, and play pass the parcel,’ says Amelia. ‘Yes, Amelia the Nasty party made up some new rules to help them win the game. The brightly coloured bus was there every morning. Parked in the bus bay by the side of the road, in Bridge Street, Paloma passed it on her way to school. There was nothing to show where the bus might be going and no-one ever seemed to get on, or for that matter get off. Paloma had never seen it arrive and had never seen it leave. All she knew was that it was there in the morning but was always gone by lunchtime. It was shaped like a school bus, but being rainbow coloured, did not look like any school bus she had ever seen. Her first thought was that it might be a hippy travellers bus. She had seen pictures of multicoloured vehicles parked up at festivals, but somehow these did not look anything like this one. She had seen American school buses in the movies, but they were always painted yellow. She could not put her finger of what it was about it but she was sure that this one was special. She mentioned the bus to one or two of her classmates, who she knew also walked this way to school, but none of them seemed to have even noticed it. ‘You’re weird sometimes,’ said Bianca. Vampire Diaries! It was all so predictable. Why were all the people in her class so shallow? Why did everyone have to conform? Where was the drive, the individualism, the adventure? For that matter where was the beauty? Why did people need to like such nasty ugly things? There were enough unpleasant things in everyday life without wanting there to be werewolves and vampires. And rap music! When you lived in an English market town why you would want to listen to urban blacks shouting about hos and pimps in the ghetto. Paloma walked away, dispirited. Sometimes she felt she had no friends. Nobody understood her. No-one at school and she had no-one at home. Her mother spent most of her time staring through the bottom of a bottle, feeling sorry for herself, listening to her Carole King CDs. Surely the neighbours didn’t want to hear Its Too Late Baby Now over and over at 3am. Or her mother crying or shouting. Paloma’s father was long gone. Paloma hadn’t seen him since she was eight. And all her mother’s new friends had upped and left too. Sometimes Paloma herself wanted to run away. This wasn’t much of a life for an almost twelve-year-old. She supposed she should be thankful that her mother had not found the Leonard Cohen album she had hidden. They had had the police round the night she decided to play So Long Marianne at full volume. Kyle didn’t think Paloma was weird. He came up to her in the playground one morning. ‘You’ve noticed it then,’ Paloma said, taken aback. Kyle was in the same class but had never spoken to her before. In fact, Kyle didn’t seem to speak to anyone very much. He didn’t seem to fit in with the crowd either. He was the one that was good at maths. He could recite all the prime numbers up to 7,919, a thousand in all. He had done it in class one day last term. And he was the only one in the class to ever put his hand up in Physics. Paloma was no good at Maths, or Physics, or anything that involved numbers. ‘Sure,’ said Paloma. They agreed to meet at 8:15 outside the Post Office in Albert Road, a street or two away from where Paloma lived. ‘I’ve found the same, but how can they not see it,’ said Paloma. ‘Have you seen anyone get into it or have you seen it come or go?’ asked Paloma. ‘Let’s just wait and see what happens today,’ said Paloma, when they reached the corner. They could see the bus. It was parked where it was always parked a few inches from the kerb in Bridge Street. ‘We could crouch down behind the bridge so that no-one will see us.’ She was a little apprehensive and wanted to take things slowly. They waited and waited and no-one got on to the bus and no-one got off. Passers-by on their way to work or to the shops did not cast their glance in its direction. They, like Paloma and Kyle’s classmates, did not seem to register it at all. In that split second that they had taken their eyes off the bus, it had completely vanished. Mutual OMGs ensued. Paloma felt faint. She thought that she was going to pass out. They arranged to meet at the same place the following morning but this time, they would press the button that opened the door and get on the bus. ‘There are three types of irony’ boomed Mr Lefebvre in double English. I would like you to tell me what they are. ‘Dramatic, Situational and Verbal,’ said someone somewhere, perhaps it was in the classroom, but Paloma felt it came from a long way away. ‘Battle of Ardennes, Battle of Mons, Battle of the Somme,’ all dripped from Mr Stanton’s lips in History. Why did they fight the Great war anyway, she wondered. She hardly slept that night, matters made worse by the fact that her mum seemed now to have discovered a new depressive singer-songwriter, Fiona Apple. She couldn’t imagine the neighbours wanted to listen to Fiona wailing Leave me alone, leave me alone, with her mother singing along, at 3am. Paloma sometimes wished that she had been taken into care when her sister, Alanis was. In the morning, she found Kyle was waiting by the post office, halfway through a bag of Haribo Starmix. As they moved on, he shared them with her and they talked excitedly about the bus. Kyle told her it was a Blue Bird All American produced by The Blue Bird Corporation in Georgia in the US. This one had been modified he said with blocked out windows, which apart from the rainbow colour was what made it seem strange. This was the A3 series which had been introduced in 1999 and there weren’t many of them in the UK. Paloma nodded. Kyle clearly knew his facts, she thought to herself. Facts and numbers were what he was good at. Perhaps it was a boy thing. As they got up close to the kaleidoscopic Blue Bird, Paloma noticed that it gave off a faint hum, like that of an electricity substation. Frightened, she stepped back. Buses were not supposed to sound like electricity substations. She thought of the sinister Danger of Death-Keep Out signs that you saw outside them and the barbed wire that often surrounded them. ‘I’m not sure we should go in,’ she said. Kyle told her not to be afraid. ‘Everything will be cool, trust me,’ he said, and summoning up all his courage pressed the button on the door. Dimensionally transcendent is an expression which describes a space that is larger on the inside that it is on the outside, like the wardrobe in The Lion, The Witch, and The Wardrobe or The Phantom Zone Prison in Superman or perhaps most notably the TARDIS in Dr Who. Paloma and Kyle stepped inside the bus, the door closed behind them and they found themselves in such a space, but not only was the space larger, it was like nothing they had ever seen. It was not just three dimensional, it was multidimensional and it stretched as far as the eye could see in all directions. It was a circus, a leisure centre, a music festival. It was the science museum, it was the solar system. It was, it seemed, whatever you wanted it to be. It was another world. It was unlimited dream reality, a constantly changing film montage that enveloped you. They tried to take in the experience in. Paloma felt weightless as if she had been transported to place where there was no gravity. Where were they? What was happening? Was it a room full of mirrors? Paloma discovered if wonder turned to fear, the newly awakened dreams became nightmares. If you became frightened or thought a negative thought, the space generated a nest of giant furry spiders, a den of bats, the walking dead. This was mega scary. Five minutes ago she had been safe in the real world. She screamed out loud. It echoed around the galactic space. A voice came out of nowhere. Suddenly she was face to face with the dreamweaver. He didn’t have long grey hair and a beard like the wise wizards of cliché, Merlin, Gandalf or Dumbledore. He didn’t have piercing blue eyes or a long black cloak. He was not a fearsome ninja brandishing a Samurai sword. He was not a Jedi waving a light sabre. He was of slight build and wore a leopard print blazer blazer and a pork pie hat. He had an oval shaped face with low cheekbones and large brown eyes. He looked Japanese, but he might have been from anywhere, Betelgeuse, Tralfamadore. He was softly spoken. He spoke English. Paloma felt suddenly calmed by his presence. He was not at all scary. ‘Yes,’ said Paloma, looking round to take in the changing landscape. Her surroundings were much more agreeable now. There were swirling images of animals at the zoo making zoo animal noises, along with holographic versions of herself shopping, dancing, playing softball, and painting, in fact all the things that an almost twelve year old girl might like doing. ‘You mean like school,’ said Kyle, becoming part of the life sized computer games that were now enveloping him. What manner of multimedia extravaganza was this? Kyle wanted to know about the technical aspects of the transcendent dimension. He was interested in the physics and the numbers involved. Maths made things reliable. It gave you order and certainty in an uncertain world. ‘The space is as big or as small as you want it to be. Everything that you see in here is generated by your imagination. Imagination is just as important if not more important than knowledge. Imagination is limitless. I expect that you have been seeing different things from each other since you’ve been in here, right? Paloma and Kyle looked at one another. Without further consultation, the nodded. ‘When you look at it like that, it does seem like a dumb thing to say,’ said Paloma. Paloma had the sudden thought that they were going to be late for school. Hiroshi caught it before the thought could generate a room full of spitting cobras. That day in double Chemistry, for the first time ever Paloma put up her hand to answer a question, and she wasn’t even jeered at by the rest of the class. In the playground, Rose asked if she could be her Facebook friend. On the way home from school she went into the second-hand bookshop and bought The Power of Positive Thinking by NLP Hartley, to help reinforce her new studies. The shop owner looked at her strangely and told her she could bring it back if she didn’t like it. That night her mother had less to drink than usual and went to bed early. Paloma lay awake for a while reading about emotional turbulence and self-exploration and wondering when Fiona Apple was going to start up, but she didn’t. It was a quiet night. Paloma got a good night’s sleep for the first time in ages. She met Kyle outside the post office the next morning. He was halfway through a bag of Galaxy Minstrels. After she had related her successes from the day before, he gave her an update on his. He had finally managed to complete the Marusenko Sphere, which, he explained, was the successor to the Rubik Cube. He had told his parents they needed to resolve their differences and speak to one another. But the best thing was that Hiroshi had told him yesterday that he was not autistic. Autism up until now had been something that was being suggested to account for his character. But his character alone accounted for the way he was. He just happened to be good at Maths and Science – and just happened to be a bit quiet. Hiroshi had also said, the quieter you are, the more you can hear which was comforting. 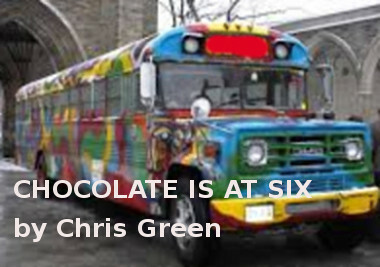 They finished the Galaxy Minstrels and Paloma, with no hesitation at all this time around, opened the door to the magic bus. Today the colossal space was filled with a Candy Crush film set, a circus tent, a science fair and a Papa Johns pizza restaurant. Lurking in the background were a group of crazed zombies, but they vanished once Hiroshi appeared. Today, Hiroshi was dressed in a Gustav Klimt print jacket and a pleated peaked cap. With a deep Japanese bow, he greeted them. He indicated for them to do the same and stressed the importance of etiquette. Paloma and Kyle nodded. Hopefully, Hiroshi wasn’t going to turn into Mr McMasters, their school’s headmaster. Mr McMasters had been banging on about the great sacrifice that so many had made in the Great War, which was aeons ago. Why were they still celebrating it? This sounded to Paloma like another set of long words that grown-ups used to describe something that was in fact quite simple. ‘To live a creative life you must lose your fear of being wrong. Although it is best to begin by being right,’ laughed Hiroshi. For an hour or two, he demonstrated that the negative could be eliminated by accentuating the positive. You didn’t mess with Mr In Between. It was not circumstances that created your happiness, it was how you viewed them. You had to use thought stopping techniques and find joy in small things. And you had to embrace life and never put things off. ‘Chocolate is at six, six thirty is too late,’ he said by way of an explanation. This seemed good enough, thought Paloma. It would be something that was easy to remember. ‘I can only show you the door. You’re the one who has to go inside,’ he said finally and at 8:20, they left in good spirits. Paloma checked her watch. No time had passed. The day brought more good fortune. Bianca shared her lunch box with Paloma and Chelsea invited her to her birthday party. When she got home she noticed her mother was actually cooking something for her tea and appeared to be sober. Small steps perhaps, but each one seemed to be in the right direction. Kyle scored a try at rugby, his first ever. No-one called him dork or geek and it might have been his imagination but were his parents having a civilised conversation with each other, if so it would be the first in living memory. They met at 8:15 the next morning and shared Kyle’s chocolate éclairs on their way along Albert Road and into Victoria Terrace. The sun was shining and it looked like it was going to be a pleasant Spring day. They turned the corner into Bridge Street. To their horror, they could see no bus. They did a double take. ‘Oh my God!’ they issued together. They walked up an down the street, but there was still no bus. They waited nervously by the bridge. Alarm turned slowly to despondency. Ten minutes passed. The bus did not appear. In the sky, grey storm clouds formed. Large spots of rain began to splatter the pavement. They made their way to school through the squally shower and by the time they reached the gates they were soaked through. They found it strange therefore when they arrived at the classroom to find that all their classmates were completely dry. The class broke into unbridled laughter as the two drowned rats dripped around them, before Mr Wright strode in and told them all to sit down and shut up. He did not try to discover what might be the cause of the outburst. With his usual sense of robotic determination, he got on with the task of taking the register. English with Mr LeFebvre explaining the difference between a metaphor and a simile and French with Miss Smith instructing them when to use the pluperfect tense went by in a bit of a blur. Paloma and Kyle felt dejected. Why did good things never last? Would they see the magic bus again? Questions remained unanswered. At break-time, they convened. They made their way out to the playground. The hubbub around them seemed to belong to another time and place. They did their best to put a positive spin on things. Did Hiroshi’s absence mean they were ready to strike out on their own, without his wise words to guide them? Might they be ready to take control of their destinies? After all, Kyle was nearly twelve and a half and Paloma would be twelve next week. All they needed was a sign. Something to give them belief. They were still discussing what they should do, when a familiar voice called out to them. There, standing by the school gates dressed in a bright floral Liberty print jacket and a cream Borsalino Panama hat was Hiroshi. He was holding up a large hand written sign. It read ‘YOU CREATE YOUR OWN REALITY.’ He waved the sign around. Paloma and Kyle looked around and saw that no-one else had noticed Hiroshi. Like the bus, he was invisible, if you were not curious. Hiroshi smiled and waved to them, then in a puff of smoke he disappeared. This was a metaphor, wasn’t it? ‘Like a will o’ the wisp,’ said Paloma. ‘That’s a simile,’ said Kyle. ‘Only time will tell,’ said Paloma.